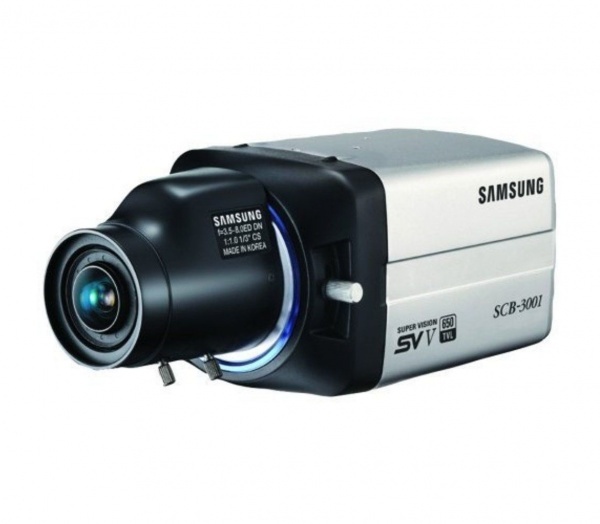 Take property surveillance to a greater level with the Samsung SCB-3001 High Resolution 650tvl Box Camera. Equipped with best-of-breed features, such as a 1/3″ Vertical double density color CCD image sensor, this security camera captures ultra-clear images with a high-resolution of 650TV lines for colored images and 700TV lines for black and white. In addition to delivering consistently sharp image quality, it has a dynamic range of 128x (NTSC), which increases the camera’s depth of field. Plus, you can utilize the camera for night and day property surveillance as it comes equipped with a True Day & Night (ICR), which switches between color or B&W modes when changes in lighting conditions are detected. This camera also features an upgraded 2D/3D noise reduction technology that reduces bandwidth from sensor noise. Other great features include: the Samsung Super Dynamic Range, Highlight Compensation,Digital Image Stabilization, and more. Keep a watchful eye over your property with the Samsung SCB-3001 High Resolution 650TVL Box Camera.